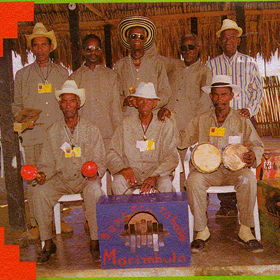 MP3 of the Day: Sexteto Tabalá de Pelenque, "Maria Palo"
Today we've got some cross-cultural Afro-Colombian Carribean music to whet your international apetite. Sexteto Tabalá de Pelenque plays a mix of Cuban song and Colombian rhythms like Cumbia, Bullerengue, Porro, and Balie Cantao. Natives of San Basilio de Pelenque in Colombia, the group began taking traditional Cuban Sexteto rhythms of the 20s & 30s and mixing them with local flavors. In 2005 the town was declared a masterpiece of oral and intangible heritage of humanity by UNESCO for its unique Afro-Colombian creole language and culture. This recording comes from a live session they played at WFMU in 2011 on the Transpacific Sound Paradise Program. 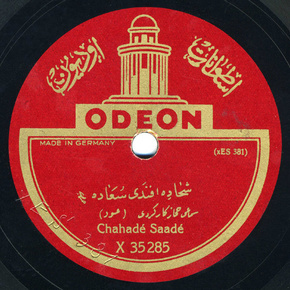 MP3 of the Day: Chahadé Saadé, "Samaii Hijaz Kar Kurdi"
If you're not already familiar, Excavated Shellac has a wealth of historical recordings from all over the world stockpiled at their FMA curator portal. One of their first contributions was this amazing recording from Chahadé Saadé. Saadé was a Lebanese musician and this oud solo, probably recorded in Syria circa 1926, was likely composed by the late 19th century Istanbul Armenian composer Tatyos Efendi. This digital recording was recovered from the original 10.5" 78 disc, so you'll hear some accoustic artifacts common to the format. In fact, this is a remarkably high quality recording considering its age, so don't worry about the noise -- that's just the sound of authenticity! MP3 of the Day: Veena Kinhal, "Haratanaya Sree"
Inspired by yesterday's well-received #FMAmp3 post featuring Balinese Peliatan Gamelan, we've decided to continue highlighting some of the great international music hidden at the depths of the archive for the rest of the week. 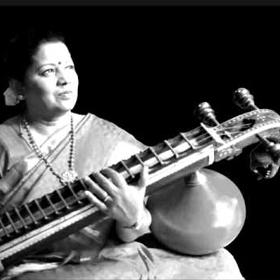 Veena Kinhal is a sixth-generation vainika and daughter/disciple of famous Veena guru and musicologist Mysore L Raja Rao. She began her vocal and veena training with her father at the age of five and since moving to California in 1979 has continued to contribute to the carnatic classical tradition. In this excellent public domain recording she pays tribute to her father, playing one of his original compositions. If this strikes your fancy, be sure to check out this 1930s recording we have of her father and uncle playing together here. MP3 of the Day: Peliatan Gamelan, "Kapi Radja"
It's not everyday that we unearth an archival Gamelan recording here at the FMA, and today is no different. This track from the Peliatan Gamelan, originally recorded in 1952, was uploaded way back in 2009 by Arbiter Records. I say it's about time we throw the spotlight on it and give some of our great international collection a little love. Kapi Radja (Ape King) is meant as an accompaniment for traditional Balinese dancers. This excellent recording is typical of the Balinese style, featuring an assortment of bronze gongs at a fairly upbeat tempo. If you're more of a Javanese Gamelan person, don't fret! We've got you covered. Check out these two albums from Gamelan Nyai Saraswati. MP3 of the Day: Ex Cops, "Spring Break (Birthday Song)"
Earlier this Summer NYC band Ex Cops strolled over to the WFMU studios in Jersey City to record a few songs for Duane's Show. This new take on the birthday salute hits me in all the right hazy-pop places but be warned: it is catchy as hell and WILL get stuck in your head. 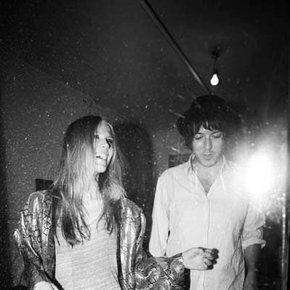 With some expert mixing and mastering from Mr. Scott, what we have here is a well-crafted pop gem, or as Duane writes, "an intoxicating blend of the hazy psychedelic dream pop, that combines the best elements of Flying Nun-styled jangle, the dark lucidity of Love, and a heaping helping of dirty lo-fi shimmer."